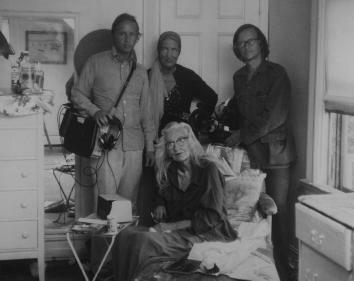 Albert Maysles and Grey Gardens: a gay camp legacy. Little Edie (left) and Big Edie Beale. Critically acclaimed filmmaker Albert Maysles died March 5 at the age of 88, leaving behind a rich legacy of work in the documentary genre, much of it produced with his brother and collaborator, David, who died in 1987. In addition to running a successful production company and founding an important nonprofit documentary center in Harlem, the Maysleses are credited with pioneering the movement called “Direct Cinema,” an American take on cineéma vérité, which involved immersing themselves with their subjects and allowing themselves to be a part of the documentary frame when relevant. This technique is nowhere more effectively deployed than in Grey Gardens, the Maysleses’ stunning 1976 film that explores the wonderfully strange relationship and decaying East Hampton home of “Big” Edith Bouvier Beale and her daughter “Little Edie,” reclusive aunt and cousin, respectively, of Jackie Kennedy Onassis. It is for this work that Albert and his brother will be remembered not only as masterful documentarians (the film was ranked the ninth-best documentary of all time by Sight and Sound), but also as the creators of a camp classic, one of the most prominent and oft-cited entries in the canon of gay culture. An elevator pitch for Grey Gardens—a slightly unhinged mother-daughter pair of high-society castaways bicker, sing, and bicker some more amid the cats, raccoons, and debris that clutter their dilapidated beach-front home—might not sound like a humorous jaunt, but it had all the elements of a high camp masterpiece from the start. If camp is, as I define it, a queer pleasure taken in the unintentional nuance, the Maysleses’ generous, say-yes-to-everything, nonjudgmental technique makes an ideal camp playground of the Grey Gardens estate. The filmmakers simply allow Big and Little Edie to be—whether that means eating pate on stale crackers in a squalid bed, quarreling over why Little Edie never made it big in New York, choreographing a patriotic flag dance, or donning the “revolutionary costume” in defiance of the restrictive social codes of the Village of East Hampton—and in so doing, extend to the viewer a similar freedom in how to relate to the pair. Those who can’t see past the squalor and codependence of the Edies may cringe, viewing the women’s situation as a pitiful vision of aristocracy in decline. But gays and others possessing of the camp sensibility have long found a certain beauty within these crumbling walls. Despite suffering from a clearly traumatic separation from her husband and accompanying fall from social grace, Big Edie retains a wry sense of humor and an admirable inability to give a hoot about the social expectations that would undervalue her worth. Likewise, Little Edie boasts a delightfully idiosyncratic fashion sense, a penchant for the philosophical aphorism, and an unflappable sense that she is a shooting star whose lamentable detour in Long Island will end at any moment. Indeed, Grey Gardens is in many ways a portrait of denial, but it is a denial that you want to root for—after all, as earlier (and campier) gay generations knew all too well, sometimes acknowledging the dire truth of your situation is the worst thing to do if you want to survive it. If, like some of Ru’s unlettered queens, you have yet to experience Grey Gardens, you’re in luck. Criterion has just completed a gorgeous, Albert Maysles-approved 2K restoration based on the brothers’ original 16 mm negative, and Janus Films is currently distributing it in limited release across the country in anticipation of the film’s 40th anniversary. I had a chance to screen the restored version in New York just before Albert’s death earlier this week, and the enhanced color and sonic clarity only further demonstrate the brilliance of his and David’s achievement. 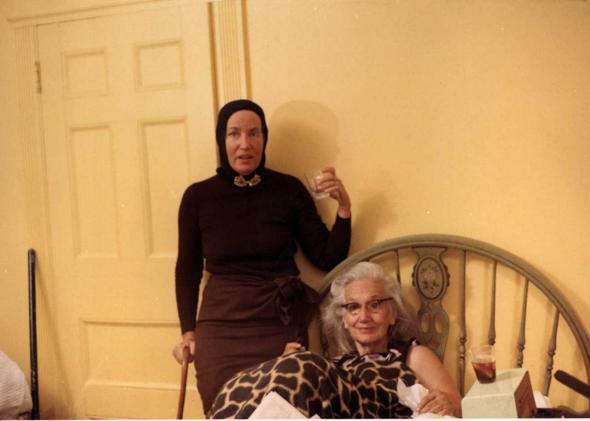 Rare is the film that’s treasured equally (if for different reasons) by gay and straight audiences alike, but if there ever was one deserving of universal acclaim, it’s Grey Gardens.